Founded in 2005, the SPD “Shram” in the ten years of work, was able to build up and expand its production capacity, working areas. The wide range of products that we can offer our clients include freshly sawn and dried timber, lumber, edged board and edging, beams, arches, trusses, and other types of lumber. Not stopping there, we have expanded our production and storage facilities. Today, at the request of customers, we are doing as small, medium-sized and large wholesale deliveries of lumber such as oak wood, beech, ash, pine, birch. Our work is not only the primary processing of wood. We manufacture pallets, boards, container, pallets, pallets original, lightweight pallets, and their products are sold on the domestic market – all over Ukraine, and foreign European market. An easy way to order and registration of all accompanying documentation. Control of the delivery of the goods to the place of unloading. Quality Certificates for lumber and warranty documents. Several ways to pay for goods and most reliable shipping companies. Items may be shipped in the exact time. Affordable prices for all materials. An easy way to order and registration of all accompanying documentation. Control of the delivery of the goods to the place of unloading. Quality Certificates for lumber and warranty documents. Several ways to pay for goods and most reliable shipping companies. Items may be shipped in the exact time. Affordable prices for all materials. wood from modern equipment, in a timely agreement, the processing of which is quality controlled. We always go to meet their clients, supplying lumber and board as standard sizes and custom sizes, as well as being consulted on all kinds of processing it, the properties of each type of wood. Our pallets and pallets (new / used), made both in standard sizes – 1200×800 mm 1200h100 mm, and the size sent by customers. We always give a guarantee on all the products supplied. The end result of our mutual cooperation, you always get exactly the material that is needed to build a house in your climate zone. Please visit our store and please read all of our products in “Store“. Review articles on lumber and their properties, or contact us for advice. Our experts will help you calculate the amount of lumber required and deadlines of your order. 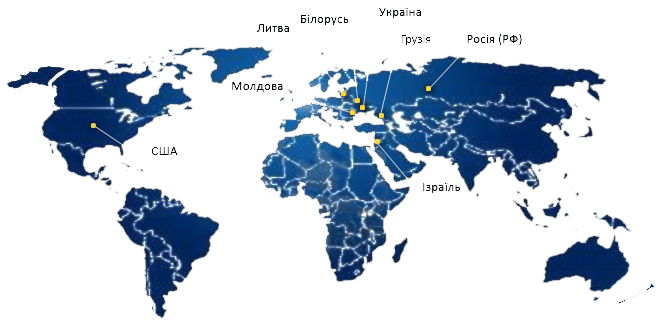 specify the method of delivery – the regions of Ukraine or countries in Europe and around the world. (Pickup, our transport company or other transport company of your choice). After that, our manager of the sales department will contact you to confirm your order, and to conclude a contract, documentation that will be sent to you. Our company SPD “Shram”, does not just sell lumber. We invite you to make the dream of a new house made of wood, or wood flooring, a reality! For wholesalers and construction companies, we offer the opportunity to receive uninterrupted desired types of wood to avoid annoying downtime and material loss! Work with us – profitable, safe and convenient!